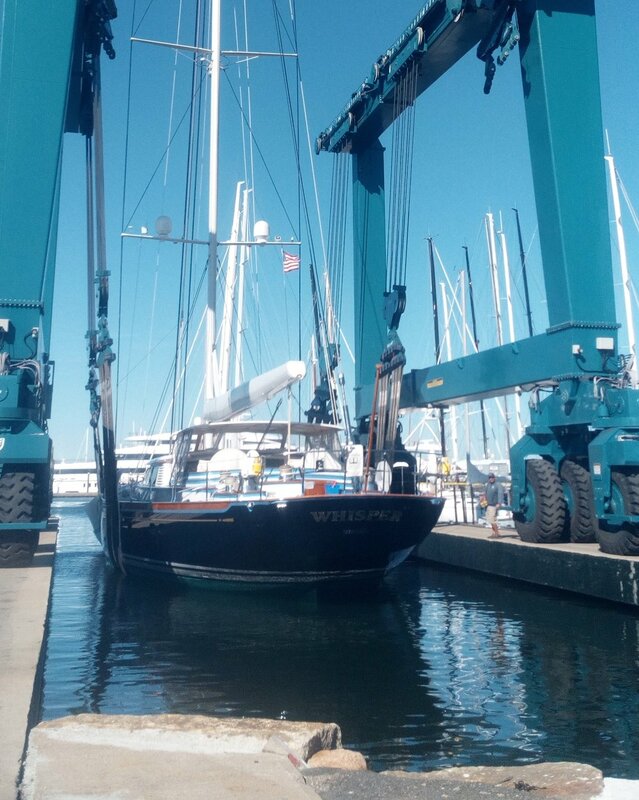 We hauled out this week at the Newport Shipyard for our routine maintenance. We should be back in the water by mid-November and onward to Antigua for the annual Antigua Charter Show. It has been a number of years since we attended the Antigua Charter Show so we are looking forward to showing the charter brokers that we still look brand new! We have just launched our new digital e-brochure, this high-end 8-page promotional piece features beautiful imagery by world renowned photographer Billy Black and provides a visual through the yacht’s popular spaces. From exterior views to common interior spaces such as the dining room, living room and navigation area with bar. Then a glimpse to the ample accommodations, and outside to the deck spaces, finally specifications and deck plans. The Holland Jachtbouw Whisper joins the ranks of all-time greats. In this feature story from Yachting Magazine (2004), written by Dennis Caprio and beautifully photographed by Onne Van Der Wal, you'll find that "as her charter guests will discover, she’s one of the warmest and friendliest custom yachts afloat."